Plavinu hes is a dam which belongs to the complex of three of the most important hydropower stations on the Daugava river in Latvia. 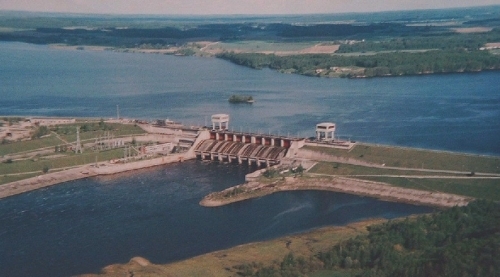 In terms of capacity, this is the largest hydropower plant in Latvia and it is considered to be the third level of the Daugavas hydro-electric cascade. It was constructed 107km from the firth of Daugava and it is unique in terms of its construction. For the first time in the history of hydro-construction practice, a hydropower plant was built on clay-sand and sand-clay foundations with a maximum pressure limit of 40 m. The HPP building is merged with a water spillwayand the entire building complex is extremely compact. There are ten hydro-aggregates installed at the hydropower plant and its current capacity is 870,000 kW. One of the dam inspection galleries coincides with a system of three bitumen joints that connects two separate blocks of the dam. Due to abrasion from the water, the joints lose the bitumen and the redistribution of loads in the concrete arms begins to appear. Since the structure is nearly 40 years old, the structural condition of the concrete can be compromised due to ageing. Thus, the redistribution of loads can provoke damage to the concrete arm and as a consequence casue the inundation of the gallery. 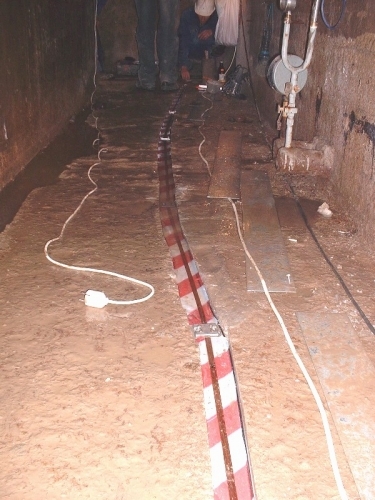 In order to increase the safety and enhance the management activities, the decision was made to monitor the average strain in the concrete arm next to the joints. The DiTeSt system with SMARTape deformation sensor and Temperature Sensing Cable were used for this purpose. The sensors were installed by the company VND2 with SMARTEC support and configured remotely from the SMARTEC office. 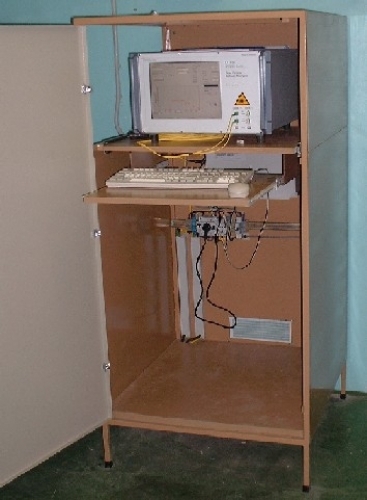 Threshold detection software with the SPST (open-ground) module was installed in order to send pre-warnings and warnings from the DiTeSt instrument to the Control Office.